Kia Ākina is a Māori phrase which literally means “be supported and encouraged”. Encouragement and support from others in the network, “fellow travellers”, is the main reason for the community to exist. Kia Ākina is a safe and positive place for people with obesity to gain awareness and motivation to undertake personal experiments with their lifestyle, while working towards recovery from obesity. Kia Ākina has strong linkages with primary health care and ongoing university-based research. The on-going research is being conducted by the National Addiction Centre at the University of Otago, Christchurch led by Professor Doug Sellman. Doug is a psychiatrist and addiction medicine specialist who holds a professorial position at the University of Otago, Christchurch. 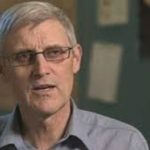 He has worked in the addiction treatment field since 1985 and in more recent years has extended this work to involve food addiction/obesity. He was the principal investigator of a randomized controlled trial of Kia Ākina using the Green Prescription as a control which showed a positive weight-loss result for Kia Ākina. Although Doug has never been obese, he has several morbidly obese close relatives, and became significantly overweight in mid-life. Over four years he lost 16kg (20% of body weight), and subsequently wrote a book “Real Weight Loss” describing the method he used and the struggle he engaged in. For over a decade now he remains 16kg lighter through daily practice beginning with a morning weigh-in. Lesley was raised in Glenavy and is of Waitaha, Ngati Rarua and Ngai Tahu descent. 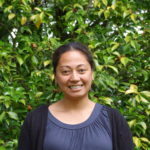 She is active in her Waitaha iwi and is the secretary of the Waitaha Taiwhenua o Waitaki Trust. 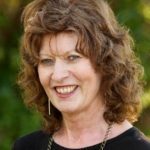 She is a director and secretary on the Te Runanga o Waihao Holding Company. Lesley has been involved with Kia Ākina since 2010. Lesley works as a fees administrator for Ryman Healthcare. Daryle is a registered nurse who has spent many years working in the mental health and addiction field. With Ria and Doug she has been involved with Kia Ākina members in ongoing developments of the Kia Ākina network. She is particularly interested in Kia Ākina as a network to support members to make and sustain weight loss through the ‘ups and downs’ and to live healthy lives. 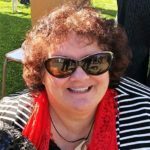 My name is Chantall, I’ve been a member of Kia Ākina since April 2016. I have loved the mutual support and encouragement and it has helped me immensely in my journey, losing over 35 kilos to date. Everyone’s path is different and with Kia Ākina you don’t have to walk it alone, as long as you’re walking! Talofa! My name is Allamanda Faatoese. I have been involved with Kia Ākina since 2010. Kia Ākina is an encouraging, friendly support group. Everyone is in the same waka/va’a/vaka/canoe on the same journey of being a healthier person. 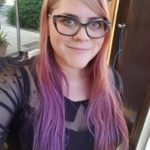 One size does not fit all, so I experimented with small changes until I found ones that worked for me, and that I could keep doing for the rest of my life. Kia Ākina has helped me to lose weight slowly, keep it off over a long period of time and become a healthier me.